New ~~ Just In!! BAMBOO Scrubs are now Available!!! 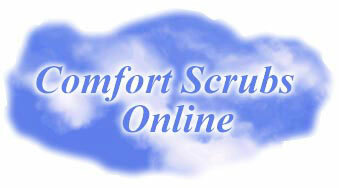 Welcome to Comfort Scrubs Online. Where you find UNISEX scrubs for $7.50 everyday! Comfort Scrubs Online is a brand of PCI, Inc. We have been manufacturing and distributing both medical and protective clothing for over 22 years. Among our diversified product lines are our Comfort Scrubs made of 100% cotton material. Our Comfort Scrubs have been a huge success not only for the durability but also for the comfort in warm and cool climates. Due to our success and our customers request we added 65/35 poly-cotton at the same affordable prices you have been accustomed to receiving. All made in the U.S.A. So if your search is for medical scrubs, nursing scrubs, scrubs uniform, hospital scrubs, cotton scrubs, nurse scrubs, cheap scrubs, discount scrubs, or just scrubs this is your web site. Since we buy our fabrics in large volume and manufacture our clothing in our own facilities, we can offer scrubs at wholesale prices. Please continue on for product, price, and order information. Thanks for shopping with us and come back to see us soon. P.S. Don't forget to tell a friend! WE SUPPORT OUR TROOPS 100%! Go to the fabrics page to view colors. For volume discounts up to 20% off featured prices, call or email us. Discount hospital scrubs for nurses and surgeons. Get smart medical scrubs from an online supplier.